Processing professionals looking for alternatives to high-priced Super T Series® pumps are sure to find what they need in the Phantom Pumps line of exceptional quality centrifugal pumps. Super T Series® Gorman-Rupp pumps and Phantom Pumps PL Series pumps are solid-handling pumps that are used in countless municipal and industrial applications such as flood control, sewage treatment, construction site dewatering, mining and more. Phantom Pumps PH Series high pressure, stainless steel, cast iron and CD4Mcu pump models feature impellers that can handle solid maximums up to 1-1/4 inches and are ideal replacements for many U-3, U-4 and U-6 Series Gorman-Rupp pumps. Our Phantom Pumps team of engineers is always available to help determine which high quality pumps in our line best are suited for specific applications. 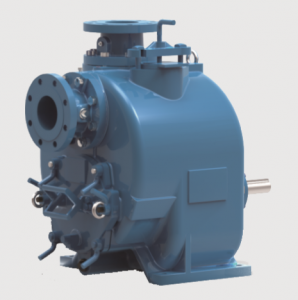 Processing facilities in Florida, Georgia, Alabama, South Carolina, North Carolina and beyond also often lower costs related to the repair and maintenance of existing Gorman-Rupp models such as U and Super T Series® pumps by using Phantom Pumps compatible and interchangeable replacement parts. Phantom Pumps Authorized Distributors provide processors with everything from local inventory of pumps and parts to application expertise, start-up assistance, technical support and more. Cross-reference materials, technical data and free quotes are available from our courteous and knowledgeable Phantom Pumps specialists. Contact us today to learn more about reducing pump costs at your facility.